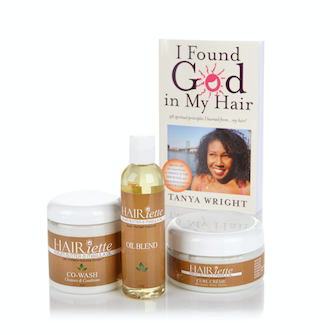 Tanya Wright's book, “I Found God in My Hair: 98 Spiritual Principles I Learned From...My Hair!,” is the inspiration behind her hair product line, "Hairiette." 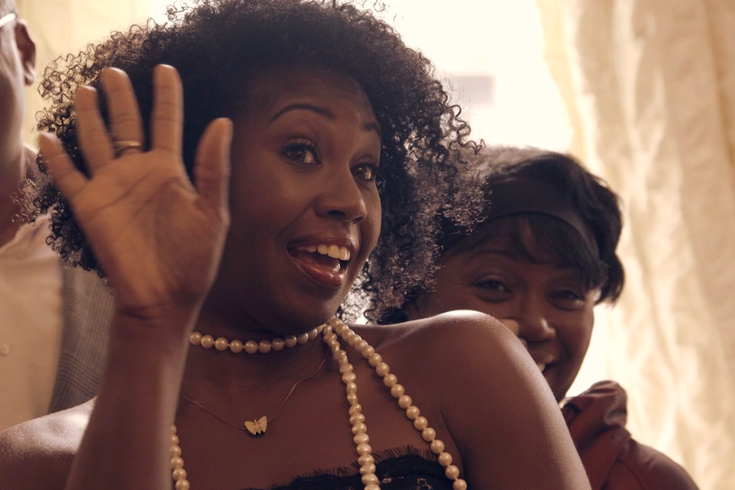 Acting gigs were never hairy for Orange Is the New Black actress Tanya Wright. “It was a simple thing - my agent called me for an audition for a new show on Netflix. I had a hard time conceptualizing what it would be. If it wasn’t on television, does that mean it’s a web series? It was going to stream? Huh? But then I read the material. I would play the wife of a transgender inmate,” said Wright, who plays Crystal Burset. Wright’s true home is in New York. She grew up in the Bronx and is the oldest of four children. Her mother had her at the age of 15. “My grandmother was the cornerstone of my life. She was a source of safety, peace, and joy,” she said. Yet, even with her growing success, something was nagging at her. She said coming back to the Poconos reminded her of where she attended boarding school at George School in Newtown, Bucks County. Wright has naturally curly hair and – for most of her life – her struggle to tame her curly mane has been the bane of her existence. She knew, though, that learning to love her locks would lead her to success. 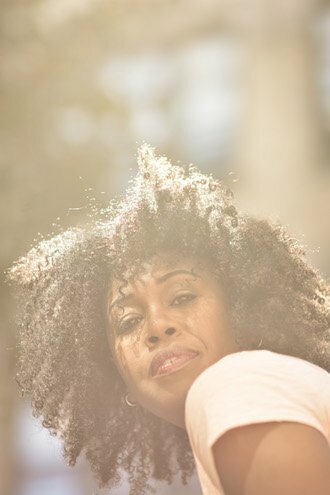 Her book, I Found God in My Hair: 98 Spiritual Principles I Learned From...My Hair!, is the inspiration behind her hair product line, "Hairiette." “I was inspired by my own cantankerous relationship with my hair to create a line that was a simple, foolproof method to get great hair every time. I am also very ingredient-focused and I wanted to make sure I had control over what was inside,” said Wright. The book is a collection of spiritual principles she learned from managing her hair, such as patience, resilience, and the power of letting go. And now her hair care line is taking her into realms beyond acting as well. Last year, she attended the Blackstar Film Festival, Philadelphia's indie film exhibition focused on works by and about people of color. She recently was invited as a guest of the Lehigh Valley Chamber of Commerce’s African American Business Community mixer. “It’s awesome to be embraced by fellow business people,” she said. "I love both acting and being an entrepreneur. They are similar in many ways. I don't pick one or the other – it's like having a favorite child. They both feed me in different ways."